Brown Girl and many, many more ! Front man and legend Bobby Farrell tragically passed away in December 2010 after a show in St. Petersburg, Russia, a country where Boney M was most popular as in many countries in the whole world ! 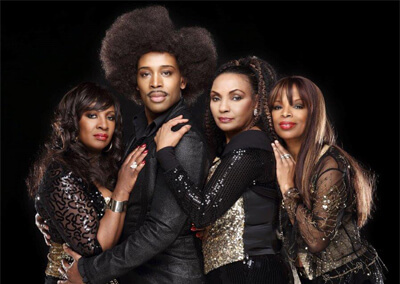 This reputable Boney M group found a fantastic new front man, originally from France, in the singer ORLANDO. 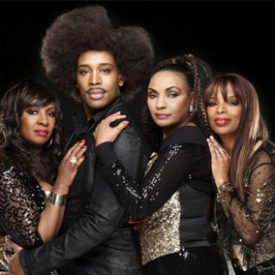 As respected solo-singer performing all over the world, but since 2011 member of the Boney M. Show. The group is already receiving sensational reviews from promoters and crowds during shows in France, U.K., Spain, Swiss, Holland and Russia. And in Belgium and Germany, when they performed at big open air summer festivals, the close harmony vocals and the new front man’s vocals, dancing and good-looks did not go unnoticed either. That international 70’s disco scene is awakening to new thrilling revivals by three beautiful experienced female singers in dazzling outfits together with the electrifying appearance of Orlando. The Boney M Show by the Bobby Farrell’s Ladies feat. Orlando will always rock da house!